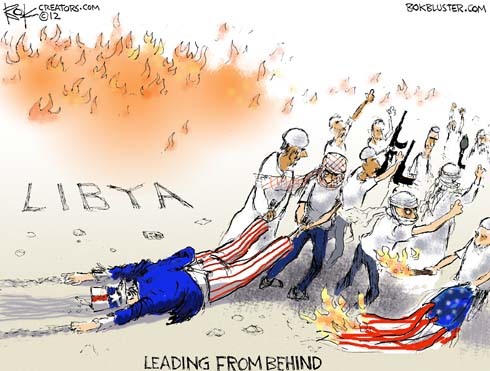 One thing the president is not taking credit for these days is his “lead from behind policy” in Libya. Here’s a column by the Richard Cohen in the Washington Post on the subject. 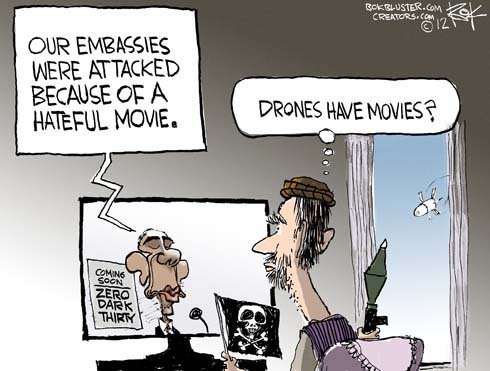 The Obama administration insists the murder of an ambassador and three others amounts to nothing more than a thumbs down review of a bad movie. The administration of Mohammad el-Magarief (Libyan president) says it was a planned terror attack.